I can’t tell you the last time I wore lip gloss. It has been easily years. 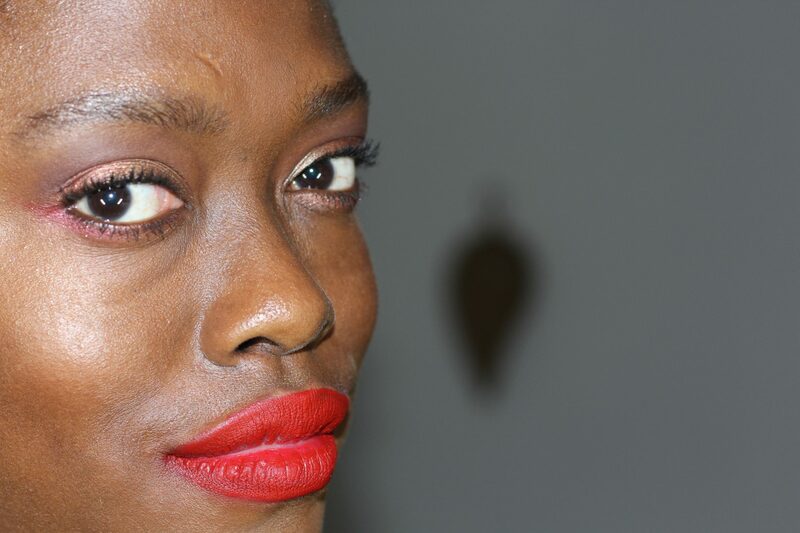 I just love the density and the pigmentation of a lipstick especially. One the most popular lip products in the beauty world for about a good 3-4 years are liquid lipsticks. These lip products start off as liquids and they dry down, usually to a matte texture and finish. More recently, some companies have added reflects, pearl and glitter which gives an interesting dimension to a sometimes flat finish. The biggest complaint about liquid lipsticks are that they are too drying. The lips don’t have pores so that there are no oils that naturally lubricate them therefore they are more susceptible to dryness. That dryness can lead to cracking of the lip and lip product, discomfort and ‘pooling’ of the product around corners or crevices of lips. 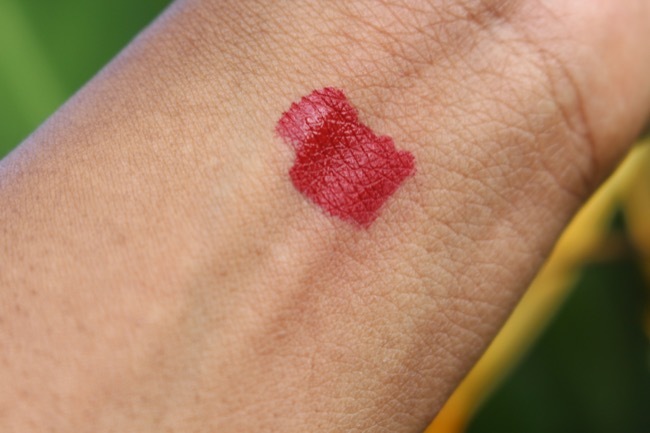 Another complaint that I have is that many liquid lipsticks don’t have even pigmentation – they apply patchy. 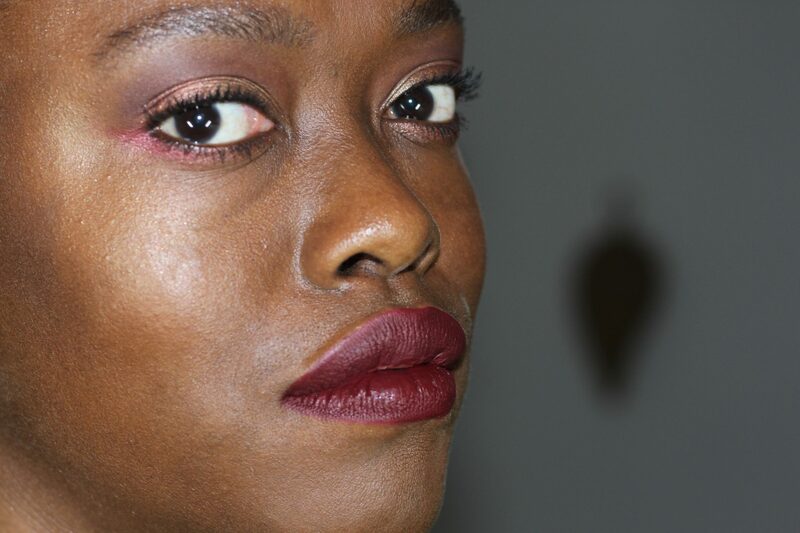 So when NARS debuted their new liquid lipstick, the NARS Powermatte Lip Pigments, you know I had to try. I bought one of the colours that I have and the other one – the cute mini – was a 100 point perk from Sephora! Here’s my video. See how they look on my dark skin. If you want to see a more detailed review with pictures, just keep scrolling. 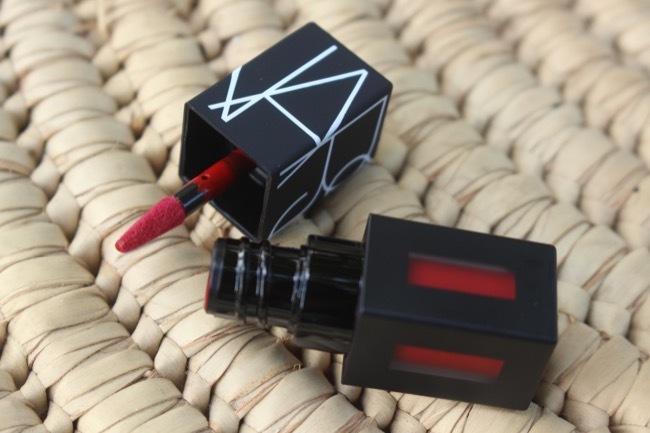 The NARS Powematte Lip Pigment is described as being infused with liquefied pigments with infinite matte colour. It promises to be a full-coverage, smudge-resistant, flexible, lightweight product that is applied with a custom doe foot applicator. This product is very thin – very close to the viscosity/feel of water. It is so thin that you have to be careful when opening the product as it can very easily splash on you. There is no other product like this that I have found on the market. It is juuuuust different enough and it stands out. It comes in 18 shades with a mix of neutrals, berries and reds. I have the shades Rock With You and Starwoman. 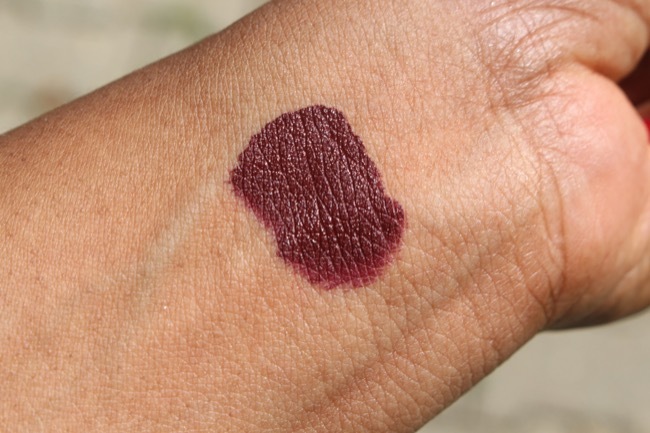 Rock With You is a deep mulberry – a rich purple/plum. Starwoman is a bright blue-red shade. There is a very faint scent to the product. 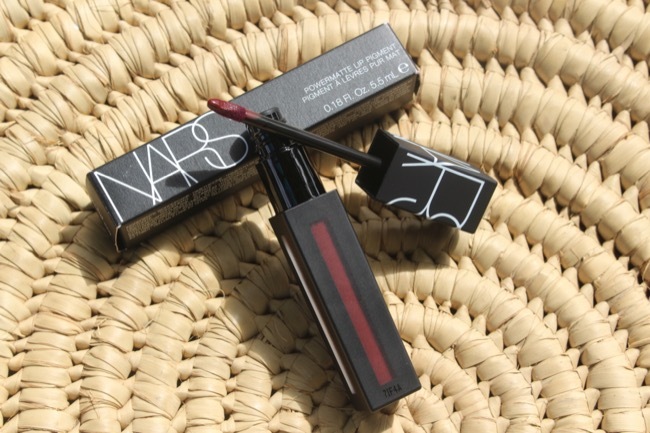 This closely follows the sleek updated packaging that NARS has been using for the last 3 years. The tube/outer packaging is square-shaped, in black, with a clear window in the body of the tube so that you can see the liquid pigmented product inside. The screw cap mimics the square shaped and the doe foot applicator is not like the ones you find in most product. It is cylindrical and ends in a point. It also has ‘well’ in the centre of the applicator that holds extra product so that you can apply to your entire lip without having to dip in to get more product. The doe foot also seems to be less flocked or fuzzy. I really like this packaging especially the applicator. It really allows you to get into every corner and area of the mouth with ease. I didn’t even have to use a lip liner to help define the shape. With the cap tightly closed, lightly shake the product to make sure the pigments are properly dispersed. Apply to the lips with one swipe. Wait about 30 secs to 1 minute for the product to set to its matte, flexible finish. This is really good product. It is so refreshing to use a liquid lipstick and it does not crack on the lips or isn’t super drying. 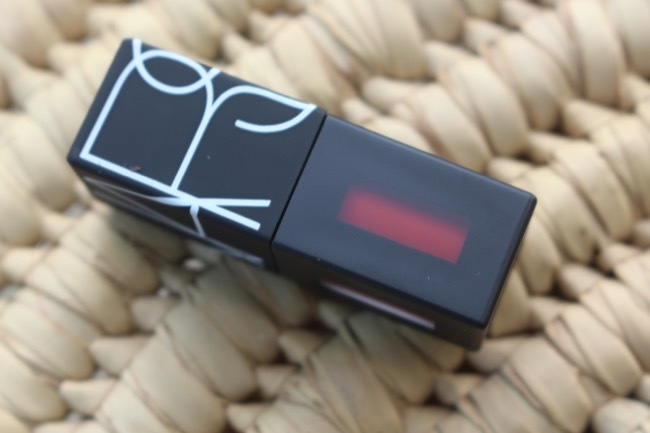 It is very well pigmented and lightweight, giving me fully opaque goodness after one swipe. I love the colour range and NARS made sure that every colour family had at least one colour that was suitable for light, medium and deep skintones. I am really impressed with this product. It reads effortless and polished at the same time. The two colours I picked up are gorgeous for dark skin. They are bold and they look amazing! I gave my sister Rock With You for Christmas and she loves it! Starwoman reminds me of my favourite M.A.C. Ruby Woo lipstick. It is very flattering on darker skintones and looks great on pretty much everyone. The doe foot applicator made applying the product quite simple and precise. I don’t have anything really bad to say about this product. Here’s tip that will prevent you from pain later on – keep the cap tightly screwed on do not store it upside-down. I would hate for it to have spilled all over your bag or on your fingers! I will be picking up some more of this product. Another well done, superior quality product from NARS. If you liked this post, make sure you sign up for my email newsletter by clicking HERE! Get the latest curated makeup, haircare & skincare news and see what beauty products that I loving at the moment! FTC Disclosure: Products were purchased by me, Noire Tropical Beauty. All opinions expressed are 100% honest and my own. I have not been compensated for this review. For more information, please see my Disclosure Policy. The following links are affiliate links. If you sign up using these links, I will get a small percentage of a purchase and/or referral credit. These links provide discounts or cashback, when available. There is no requirement or obligation to use these links. If you need more information, please see my Disclosure Policy.